ST. GEORGE — President Donald Trump’s review order for 24 national monuments established by three former presidents over the past two decades puts in limbo federal restrictions over large swaths of land across the country. 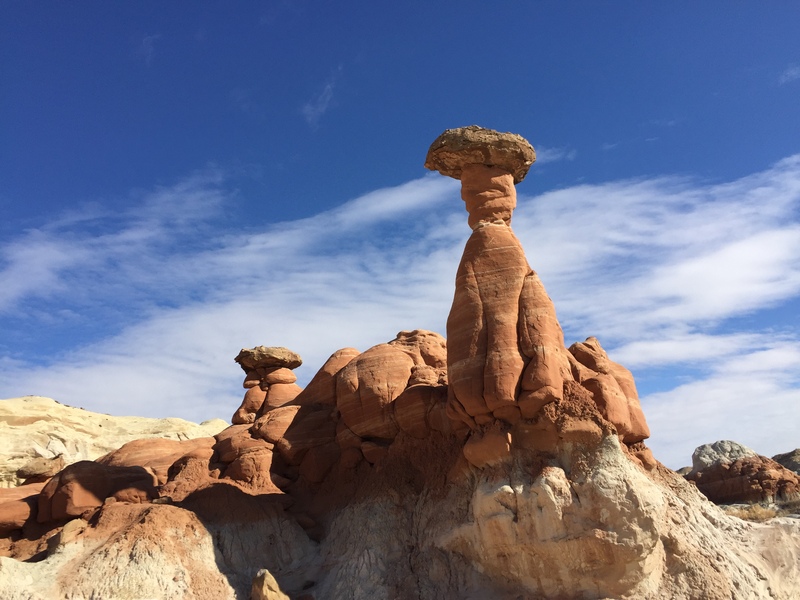 The review is predicated in part on the proposition these monuments may exceed the purposes of the Antiquities Act, both in size and scope of control. Proponents of the monuments see them as protecting lands home to ancient cliff dwellings, towering Sequoias, deep, canyons and oceans habitats where seals, whales and sea turtles roam. Opponents see them as unduly restrictive, denying or impairing public access, use and enjoyment of public lands, state and local management from those central to the lands, with negative impacts on individual livelihoods and economies of state and adjacent communities. Trump and other critics say presidents have lost sight of the original purpose of the law created by President Theodore Roosevelt that was designed to protect particular historical or archaeological sites rather than wide expanses. 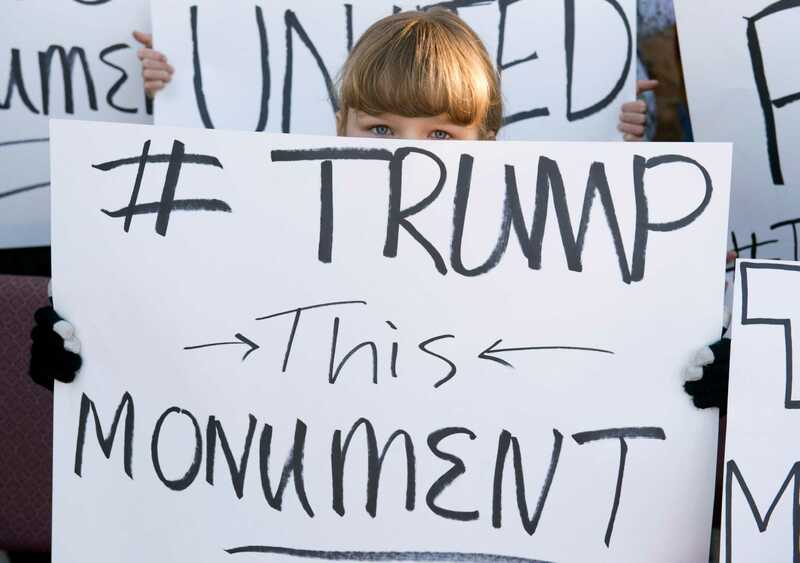 As a matter of policy, Trump’s order states, monument designations should be made in accordance with the requirements and original objectives of the Antiquities Act and appropriately balance the protection of landmarks, structures and objects against the appropriate use of federal lands and the effects on surrounding lands and communities. The order calls for the interior secretary’s review of monuments that exceed 100,000 acres and meet other criteria. The review is to determine if the designations conform to policy stated in the order. Such designations are a means of stewarding America’s natural resources, protecting America’s natural beauty, and preserving America’s historic places. Monument designations that result from a lack of public outreach and proper coordination with State, tribal, and local officials and other relevant stakeholders may also create barriers to achieving energy independence, restrict public access to and use of Federal lands, burden State, tribal, and local governments, and otherwise curtail economic growth. Designations should be made in accordance with the requirements and original objectives of the Act and appropriately balance the protection of landmarks, structures, and objects against the appropriate use of Federal lands and the effects on surrounding lands and communities. An interim report with recommendations on Bears Ears in particular and other monuments the secretary deems appropriate is to be delivered within 45 days and a final report within 120 days of the executive order. Today’s executive action is the culmination of months of hard work and close coordination with the White House. When I first spoke with President Trump in the Oval Office during his first week on the job, I asked for his help in addressing the Bears Ears debacle. From day one, our President has been committed to helping us fix this disaster and ensuring that our smallest counties get a fair shake. For years, I have fought to give voice to the needs of our rural communities in the debate over public lands. Time and again, past Presidents have abused their authority under the Antiquities Act to satisfy the demands of an extreme environmental agenda. But no more. Following today’s action, I look forward to working with the Trump administration to establish a new precedent of collaboration and trust between states and the federal government as we work toward a shared goal of preserving our cultural antiquities. The creation of the 1.3 million-acre monument in December was seen as a victory by some Native American tribes and conservationists and a blow to Utah Republican leaders who campaigned hard to prevent a designation they contend is a layer of unnecessary federal control that hurts local economies by closing the area to new energy development. 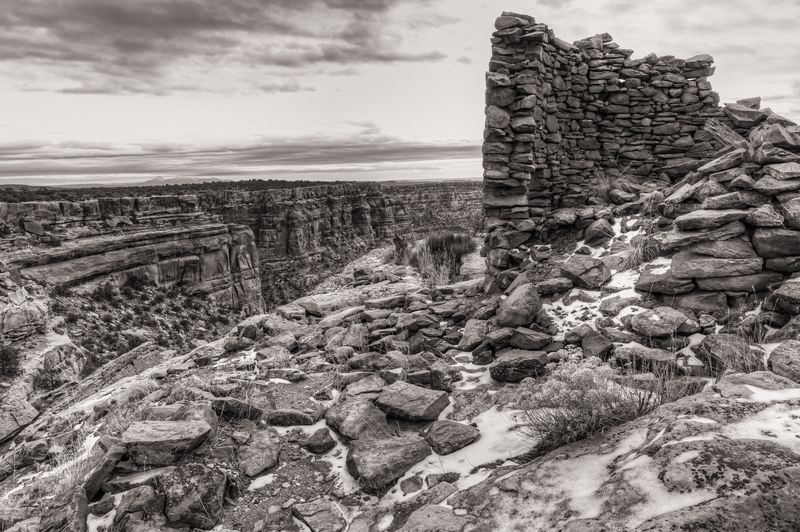 Tucked between existing national parks and the Navajo Nation, the monument is on land considered sacred to a coalition of tribes and is home to an estimated 100,000 archaeological sites, including ancient cliff dwellings. Tribal members visit the area to perform ceremonies, collect herbs and wood for medicinal and spiritual purposes and do healing rituals. Other Native Americans opposed the monument, among them those residing in the Bears Ears region. St. George News reported in December 2016 that Rebecca Benally, a Navajo and a San Juan County commissioner, said President Obama would not be designating the monument for the local people, but for groups that are using the Navajo to further their own agenda. San Juan County Commissioner Phil Lyman told St. George News Tuesday increased tourism traffic since the monument designation has had more negative than positive impact on the sites the monument seeks to protect. “The monument designation will only bring more people to that area for sightseeing and recreational purposes, which is in part why the local Native American tribe has been, and is still, so adamant about not wanting that area designated a monument,” Lyman said. The monument features a mix of cliffs, plateaus, towering rock formations, rivers and canyons. 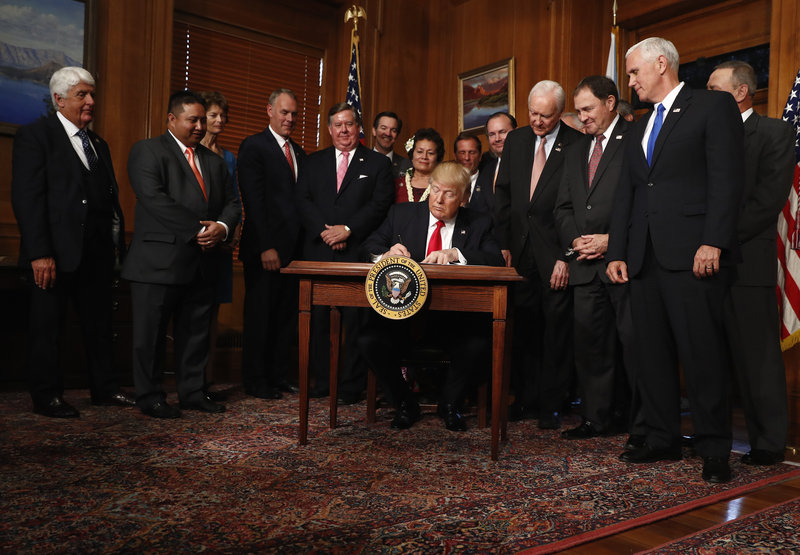 Led by U.S. Sen. Orrin Hatch, Utah’s congressional delegation and top state leaders immediately vowed to work to get the monument repealed. Trump applauded Hatch for his dogged insistence while signing the executive order. Interior Secretary Ryan Zinke is due to make a recommendation on Bears Ears within 45 days ahead of a final report about all the monuments within 120 days. 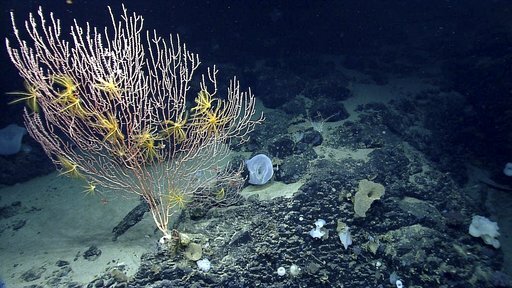 Designated by President Barack Obama in September 2016, the Atlantic Ocean’s first marine national monument consists of nearly 5,000 square miles of underwater canyons and mountains off the New England coast. The designation was widely praised by environmentalists as a way to protect important species and habitat for whales and sea turtles while reducing the toll of climate change. The designation closed the area to commercial fishermen, who go there primarily for lobster, red crab, squid, whiting, butterfish, swordfish and tuna. A coalition of commercial fishing groups filed a lawsuit in March to overturn the designation. They argued the creation of the monument would bring economic distress to fishermen and their families. In a decision praised by environmentalists but scorned by loggers, President Bill Clinton created this monument in 2000 covering about 328,000 acres of land in central California where the giant sequoia grows naturally. 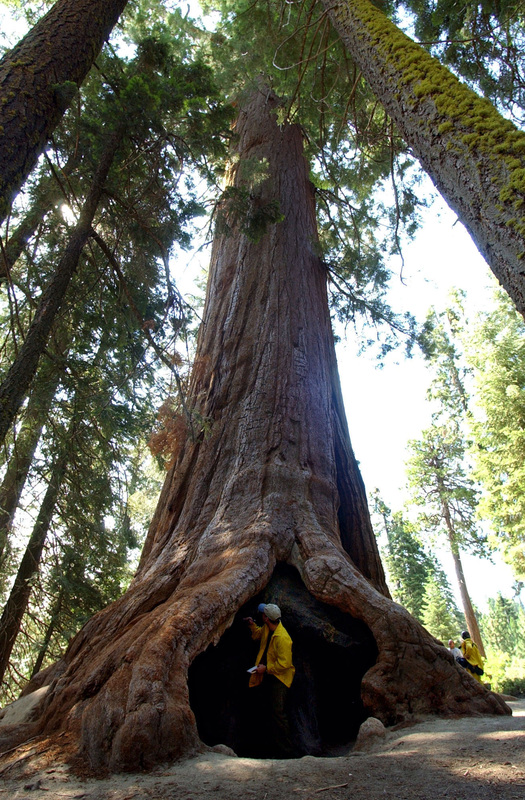 It expanded the number of groves protected, adding to Sequoias already safeguarded in Kings Canyon and Yosemite National Park. A coalition of timber interest groups, recreation groups and a California county sued to reverse the designation or reduce the size. They argued that the trees were already protected and that the county’s school districts depended on money that came from fees collected for logging. A federal judge dismissed that lawsuit. In 2006, a federal judge rejected a plan by the Bush administration plan to allow commercial logging inside the monument. This remote monument northwest of Hawaii’s main islands was created by President George W. Bush in 2006 and was quadrupled in size last year by President Barack Obama. The nearly 583,000-square mile safe zone for tuna, the endangered Hawaiian monk seal and thousands of other species is the world’s largest marine protected area, more than twice the size of Texas. 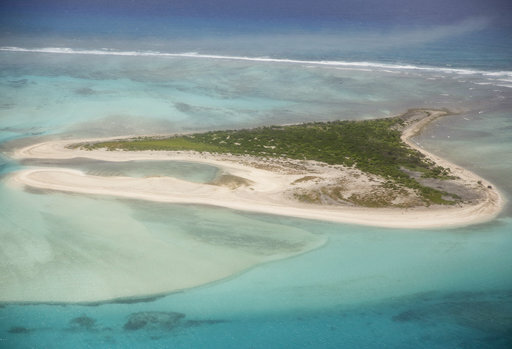 Obama pointed to the zone’s diverse ecology and cultural significance to Native Hawaiian and early Polynesian culture as reasons for expanding the monument when he visited the turquoise waters last fall. “I look forward to knowing that 20 years from now, 40 years from now, 100 years from now, this is a place where people can still come to and see what a place like this looks like when it’s not overcrowded and destroyed by human populations,” Obama said. The decision to expand the monument was the subject of fierce debate within Hawaii, with both sides invoking Native Hawaiian culture to argue why it should or shouldn’t be expanded. The monument designation bans commercial fishing and any new mining. Fishing will be allowed through a permit, as will be scientific research and the removal. Opponents argued the region is heavily dependent on fishing and can’t afford the hit, adding that a federal ban would infringe on the traditions that ancient Hawaiians used to protect natural resources. The oldest monument on the list, President Bill Clinton created the monument in Southern Utah in 1996 by signing a declaration at the south rim of the Grand Canyon in Arizona. It was lauded by environmentalists for preserving scenic cliffs, canyons, waterfalls and arches with actor and Utah resident Robert Redford appearing at the ceremony with Clinton. But in heavily Republican Utah, the move was viewed as a sneaky, stab-in-the back example of federal overreach that still irks the political establishment 20 years later. 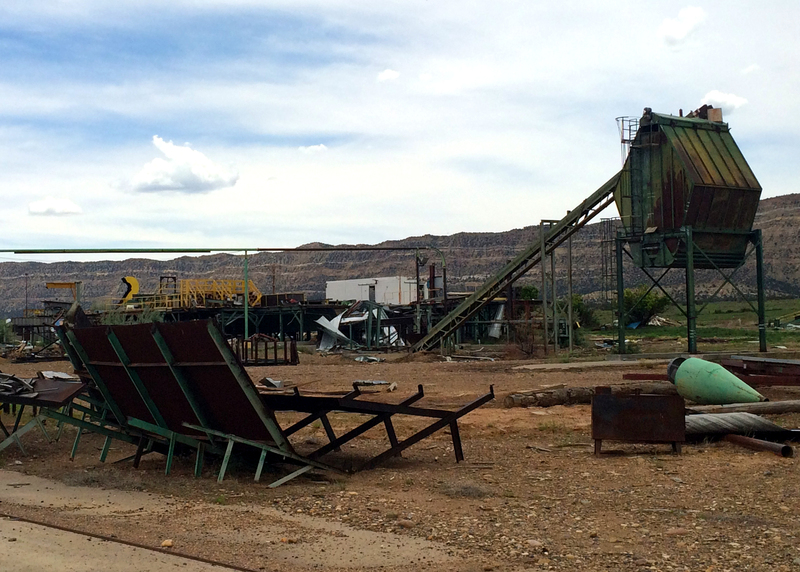 Many Utah Republicans and some local residents contend it closed off too many areas to development – including one of the country’s largest known coal reserves – that could have helped pay for local schools. In 2015, the county where it’s located declared a state of emergency for falling school enrollment, and county commissioners laid some of the blame on Grand Staircase. This year, Utah Republican Gov. Gary Herbert signed a resolution from state lawmakers asking Utah’s congressional delegation to support shrinking the monument that is nearly 1.9 million acres, about the size of Delaware. BRADY McCOMBS, Associated Press, contributed to this report. ST. GEORGE NEWS reporter Tracie Sullivan contributed to this report. Copyright 2017 The Associated Press as to AP contributed content. All rights reserved. This material may not be published, broadcast, rewritten or redistributed.